getBible! is a Bible Component (API) which enables you to deliver the Holy Scripture in many languages on your Joomla website. This is a simple and powerful addon to Joomla and it requires a server with PHP and MySQL with the Joomla 3.x framework installed to run it. Copyright (C) Vast Development Method. All rights reserved. You can help us in a small way! All you have to do is when you have used this component and really like it, please write a short review! You do not need to download the Bibles. 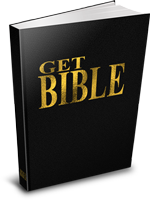 The getBible component installs the Bible versions directly from our server. So you could download them as a backup if in case we can not continue.